Install a CORSA Performance exhaust on your Dodge SRT-4 and experience the extreme sound and superior performance. On the track or off, hit the gas and feel the power as it blends with the gutsy exhaust note. This system is offered as a single rear exit and a dual rear exit with polished stainless steel 4.0" Pro-Series tips. 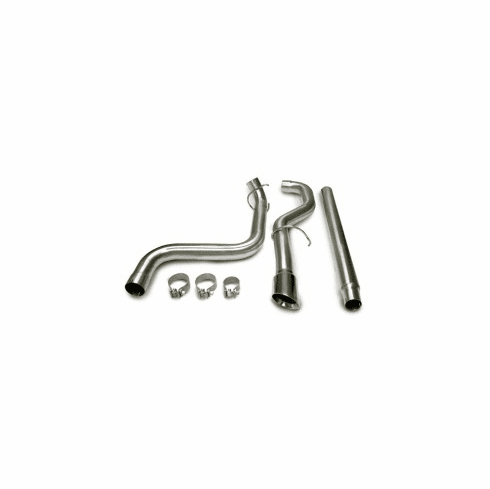 A CORSA exhaust gives you improved performance, quality and engineering, in concert with power. 3.0" Straight-through, nonrestrictive design, specifically tuned for the Dodge SRT-4. Flow bench-tested 65% gain in exhaust flow vs. stock system. All 304L stainless steel construction, crafted with pride and precision in the USA. Single rear exit system: 3 lbs. lighter than stock. Includes all necessary hardware and illustrated installation guide.